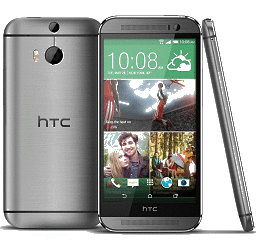 You may be fascinated with your HTC One M8 now and amazed by its innovative brushed metal design fitting your hand with natural ease; its dual front-facing HTC BoomSound speakers creating an epic audio you have to hear to believe; its advanced camera which could even refocus your results; its remarkable resolution and Sense 6.0 interface. This smart HTC One M8 phone has helped improve and color your life a lot, but it is still unable to play DVD movies directly, because it can't support the DVD format now. Just imagine if you can play DVD movies on HTC One M8 and to enjoy your favorite DVD movies during your travel journey anytime you like, it will definitely make your journey more pleasant, won't it? But in order to realize this, you should rip DVD movie to HTC One M9 or M8 compatible formats firstly. Nowadays there are many DVD ripping software in market, but most of these apps have a very limited support for various input formats and output formats and you are restricted to very few choices. Besides, they may not be user-friendly and can't rip any copy-protected DVD. To be an exception to all of these DVD rippers, WinX DVD to HTC Ripper, this almighty DVD ripping software is your best choice to help you rip DVD to HTC One M8. How to Easily Rip DVD to HTC One M8? WinX DVD Ripper Platinum: Rip any DVD easily to HTC One M8. Why do many people think WinX DVD Ripper Platinum is so good? It must be the following reasons: WinX DVD Ripper Platinum is able to directly rip any protected DVD and common DVD movies to almost any video format and portable devices with a lighting speed, of course HTC One M8 included; it could automatically select the main title and output the video smoothly in the right order; with the safe mode you can skip the problems during the conversion process and finish the whole conversion process more smoothly, and thanks to the High Quality Engine, its output file is in good video audio quality. Therefore, you can be sure that it is the best and easiest way to rip DVD movies to your HTC One M8. It will undoubtedly bring you an easiest and worry-free DVD ripping experience. By using WinX DVD Ripper Platinum, ripping DVD is so easy and fast. You can simply follow the easy steps below. In the first place, download and install WinX DVD Ripper Platinum on your computer. Step 1. Launch WinX DVD Ripper Platinum. Insert the DVD into your DVD-ROM, then click the "DVD Disc" button at the top-left. The DVD ripper can auto select the main DVD movie title for you. Step 3. Click "Browse" button to choose a destination folder to store the ripped movie. Step 4. Hit "RUN" to start the process of ripping DVD movie to HTC One M8. 1. Choose the subtitle if you need. The subtitle is disabled by default. 2. Trim video segment to convert by dragging slide bar under video preview window or setting "Start time" and "End time". 3. Choose "Deinterlacing". 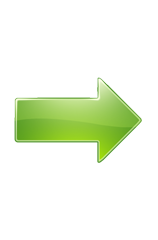 It is for interleaving videos and can make your video much more clear with it. 4. Set "CPU Core Use". With more Core used, it can speed up the conversion. WinX DVD Ripper Platinum – Best DVD Ripper to rip DVD videos to AVI, WMV, MP4 and iPhone iPad, Android and other devices; 1:1 clone DVD to ISO/folder and backup main/full title to a single MPEG2 file.